Turn-key ready, neatly maintained Canyon Creek property on fantastic corner lot! Sitting across from a serene park and playground with Front Range views. Welcoming front porch leads the way into a charming 3 beds and 2 baths home drenched in morning sunlight. Engineered wood plank flooring, gas fireplace and walk-out access to patio and landscaped yard. Open layout kitchen with great counter and cabinet space, all stainless steel appliances and space for future center island or butchers's block. Private master suite boasting cathedral ceiling, walk-in closet and updated bath. Secondary bedrooms with backyard views and share full bath. Unfinished partial basement could be future family room, rec area or 4th bedroom. New carpeting on entire upper level. 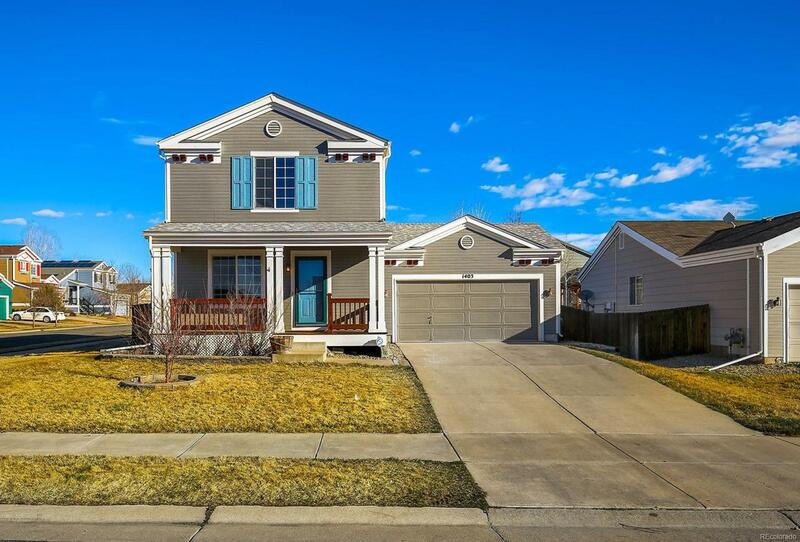 Take advantage of the incredible Lafayette location within Boulder County! Close to multiple schools. Quick access to HW-287 and Baseline Rd. Just 9 minutes to Main St and 3 minutes to shops, eateries and Erie Community Center!